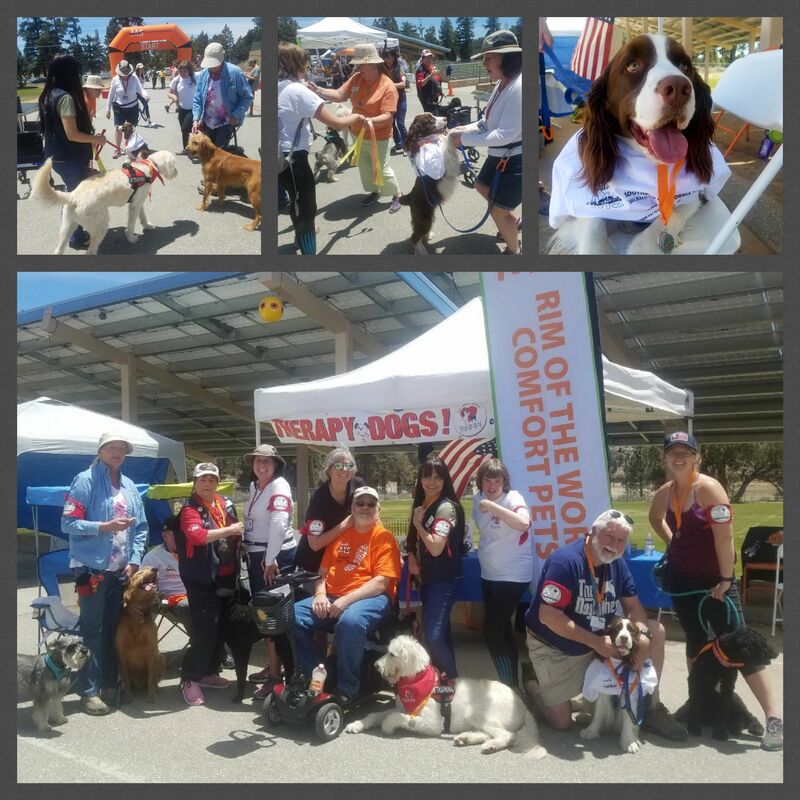 Rim of the World Comfort Pets, Inc | Promoting health & improve the quality of life for individuals through the animal-human interactions. 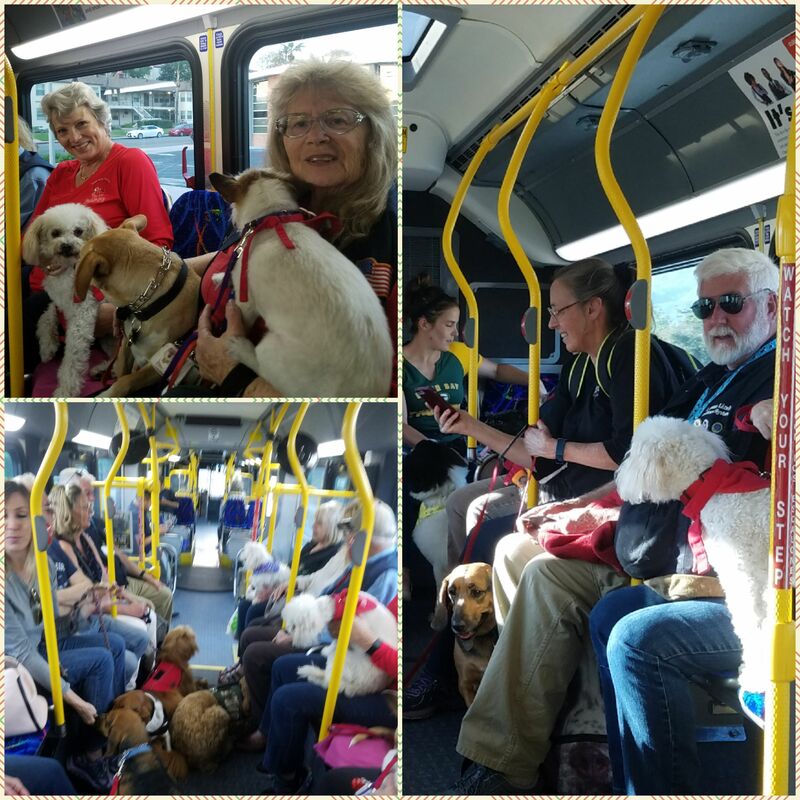 Rim of the World Comfort Pets exists to promote health and improve the quality of life for individuals through the animal-human interactions that come from animal assisted activities and therapy. 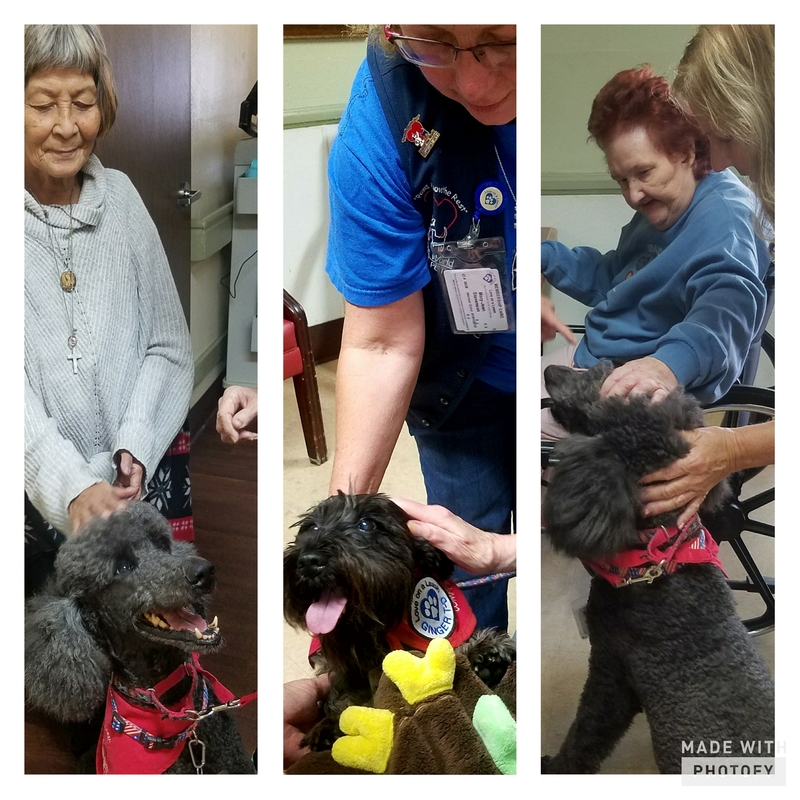 Our certified therapy animal-handler volunteer teams work to help heal individuals, elevate the professional standards in the therapy animal field, and promote the general cause of volunteerism. We could not be prouder of our new team: Douglas “Mac” McCrory with Sasha. Thank you for your many hours of training and your dedication to volunteering. We congratulate you. 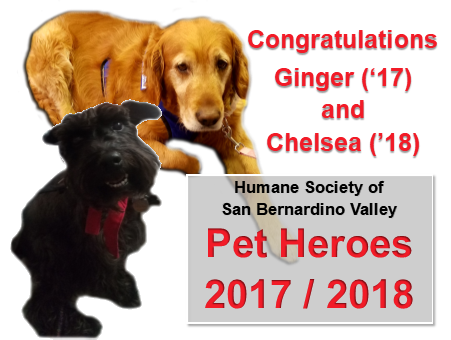 Rim of the World Comfort Pets is so proud of our Humane Society of San Bernardino Valley’s Pet Heroes 2017 and 2018. The San Bernardino County Medical Society, founded in 1878, is a professional physician membership organization representing 2,800 members. Their purpose is to promote the science and art of medicine, the care and well-being of patients, the protection of the public health and to promote the betterment of the medical profession. The San Bernardino County Medical Society recognizes our founder, Linda Smith as their 2018 Outstanding Citizen! We couldn’t be more proud! 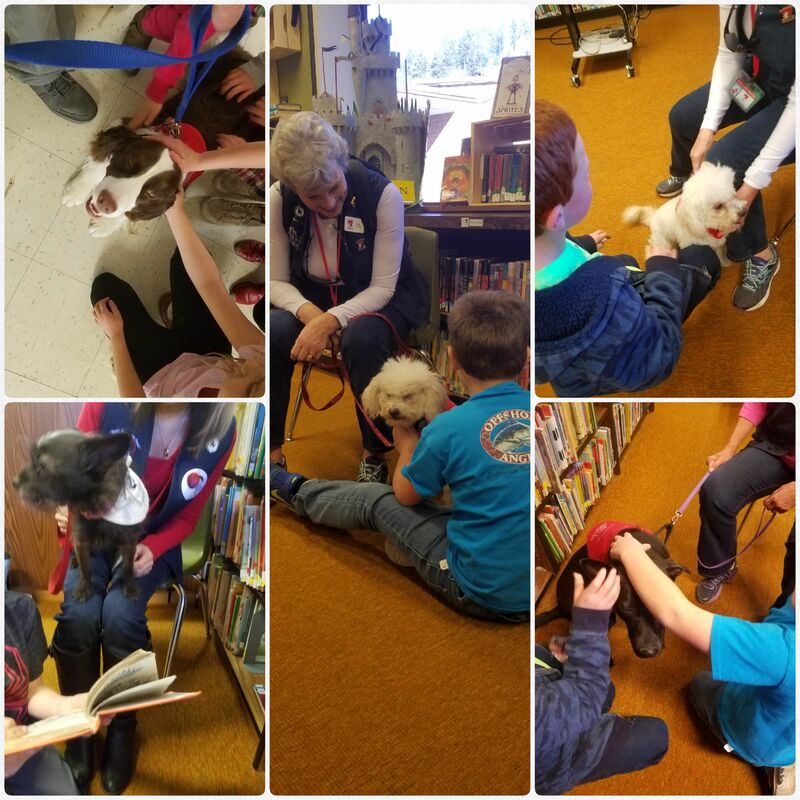 Rim of the World Comfort Pets are participating in a weekly reward program at Charles Hoffman Elementary School in Running Springs. The students earn “reward dollars” for good behavior. Those dollars can be spent on a visit with the dogs! We came, we walked, and we danced like no one was watching! 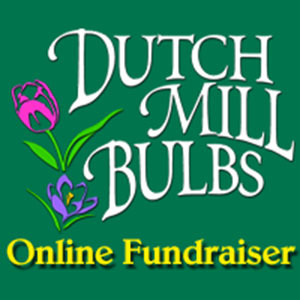 We walk for Kurt Kauffman. 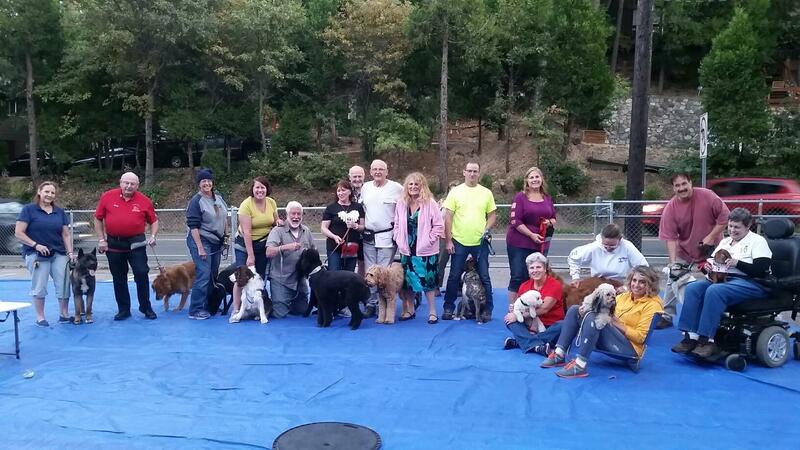 Comfort Pets – 5th in fundraising for the Big Bear event. You couldn’t ask for a more lovely setting for a retreat! Pilot was so little in the first picture. 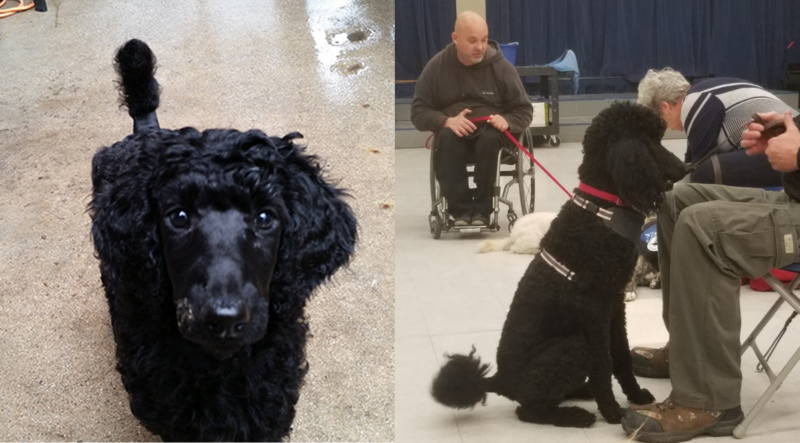 Wow, how he has grown and is working hard toward certification. Makena, Jody Brassfield’s granddaughter, volunteers at YAPS in Yucaipa. 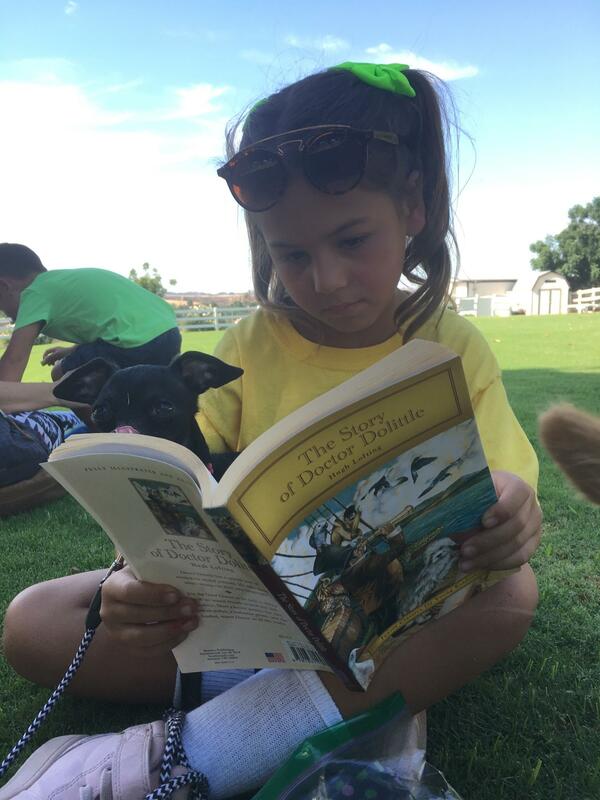 Here she is reading to one of the dogs. Everyone can do something to change lives. We are so proud of our two Pet Heroes! Click to read Chelsea’s story. The San Bernardino County Medical Society has selected Linda Smith as their Outstanding Citizen 2018! We are excited to announce our partnership with Classic Images in Crestline. Classic Images is our new exclusive Team Wear supplier and embroidery shop. Click on the Team Wear icon above to access the catalog. Order directly from Classic Images Address: 23723 Rocky Dell, Crestline / Phone: (909) 338-2281. Closed Sunday-Monday. Our purpose is to comfort others! We are so proud of our teams in training and those who have certified. Thank you OmniTrans for making our training event special. Read the story here! View all the pictures here. 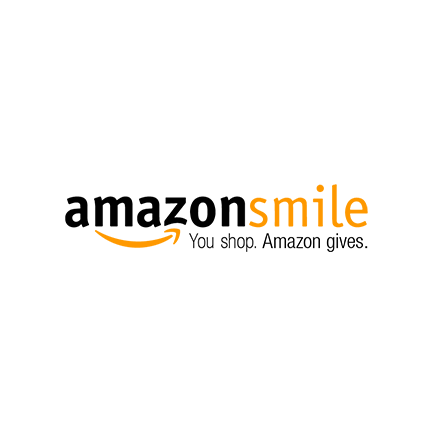 Established in February 2006, we are a California Nonprofit Public Benefit Corporation. We are exempt from federal income tax under section 501 (c) (3) of the Internal Revenue Code. 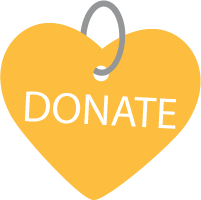 Your generous donations are qualified to receive a tax deduction under section 2055, 2106 or 2522 of the Code. We are an organization of volunteers who provide interaction with specially trained handler and animal teams as therapeutic tools. Our teams provide comfort and therapeutic kindness in medical, social service, and educational settings. 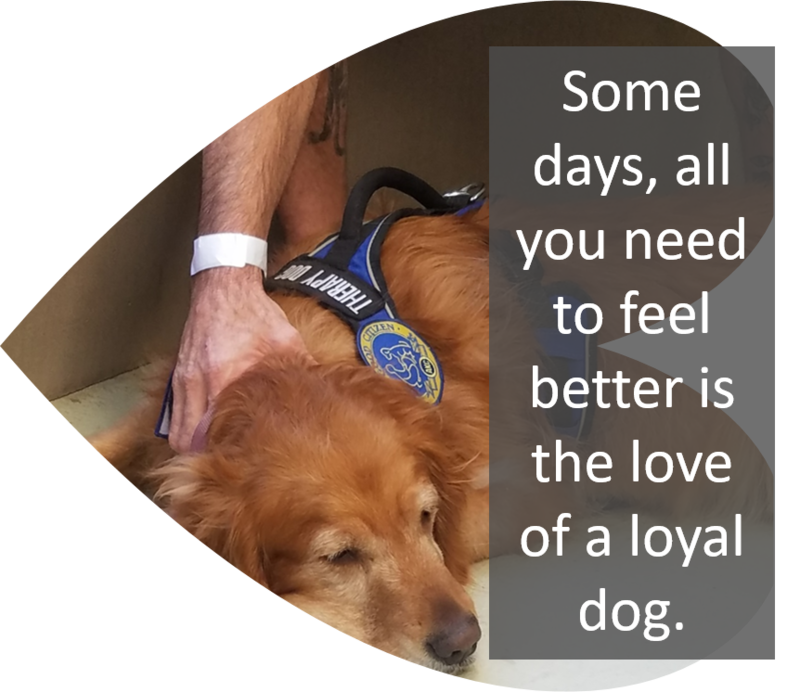 For animal lovers, health care providers, and anyone who appreciates how animals and humans interrelate, this is an animal-human partnership in healing.